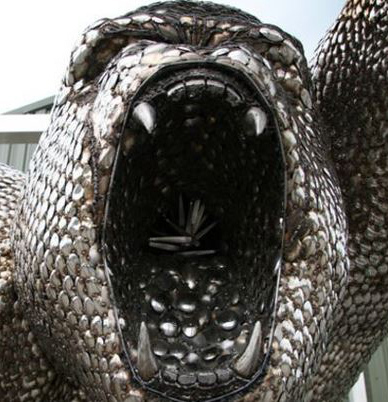 A 12ft-high (3.6m) statue of a gorilla made from 40,000 spoons has taken up residence at a Shropshire hospital ahead of a UK tour. 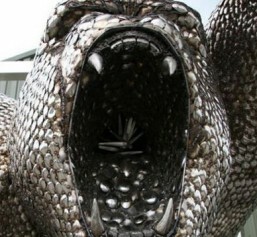 The sculpture is expected to stay in the car park at the Royal Shrewsbury Hospital for two months. Clive Knowles, of the British Ironworks Centre where the artwork was made, said he hoped the work would be “inspiring” for children being treated there. The sculpture will be taken on tour to raise money for hospital charities.